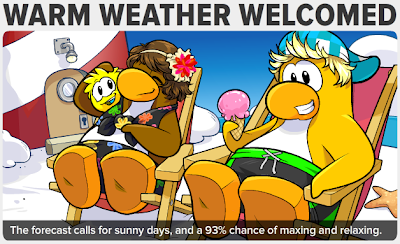 Club Penguin Cheats by Mimo777 Club Penguin Cheats by Mimo777: Club Penguin Times #354! 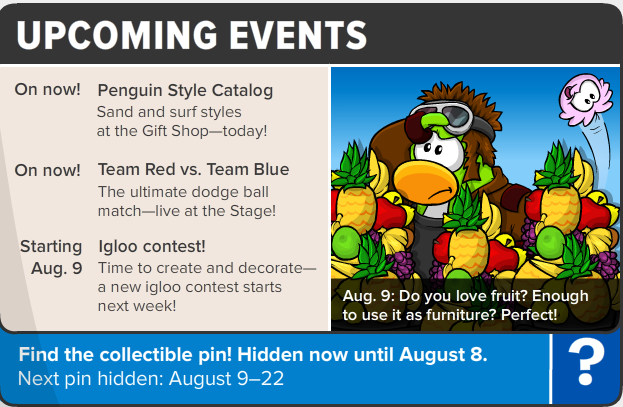 Club Penguin Times #354 is here! It's warm, but there is still snow on the ground... Haha! 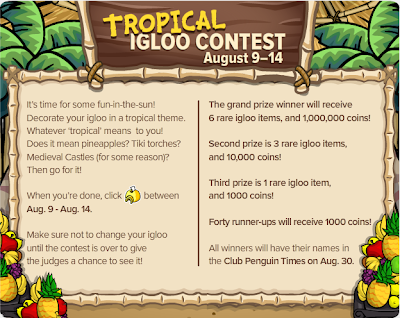 Be sure you get your tropical igloo entered onto the contest! 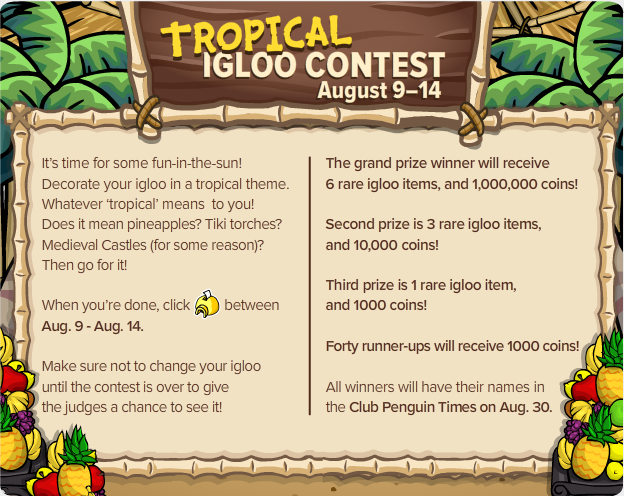 You can now save your best igloo creations! 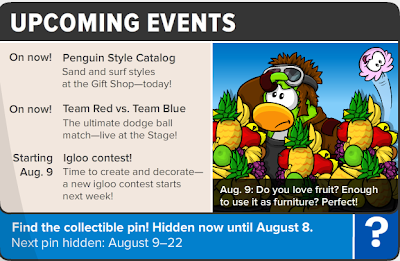 Have you ever found out something new from these secrets? If so, what was it? 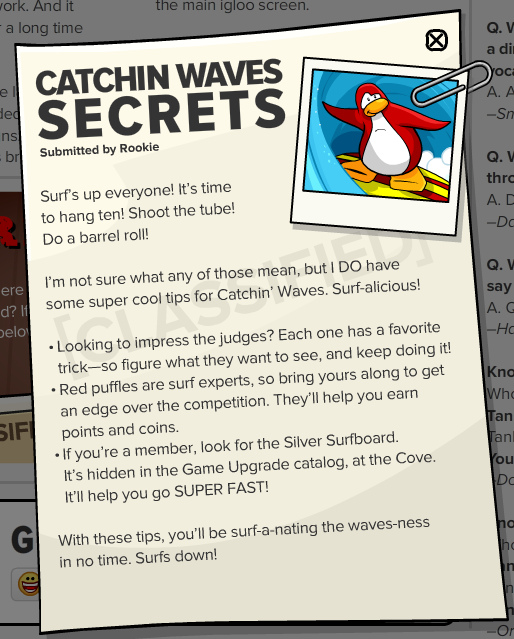 Well I just found out by reading that catchin waves thing there is a move called barrel roll!! The secrets said to Do a Barrel Roll! How do you do a barrel roll?